Other than working on 2D animated cartoons and games, Lynx has also worked on projects ranging from short movies, to music videos, to commercials. Below is a selection of some of our most important works. "Revenge and comeuppance chronicle Faith No More's gritty "Cone of Shame" video. An old man points a gun at a younger man with a knife, a prostitute betrays her John and faces the repercussions and a few of the characters don the titular cone of shame. " After his death, the protagonist continues his invisible existence as if nothing had changed. Everything is the same, except that the left part of his body is missing. One day however, the dead man decides to search for his lost half, in order to find peace. Lynx has also worked on commercial videos. 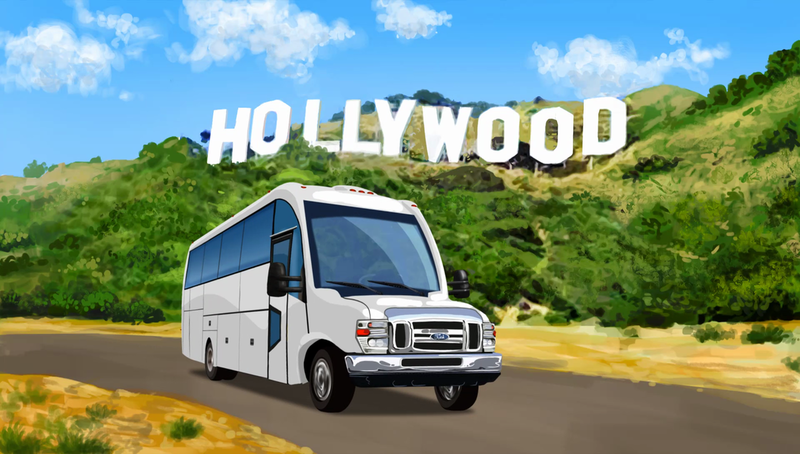 The image above is from a commercial for Indbus, featuring their buses traveling to America.